Box Office Preview: Will ‘Office Christmas Party’ Beat The Office Christmas Parties? This is a traditionally slow weekend at the box office, but it's the last one before "Rogue One" begins its onslaught. Last year, this weekend yielded $67 million from the Top 10, with Ron Howard’s “In the Heart of the Sea” making a disastrous $11 million debut. In 2013, “A Madea Christmas” opened to $16 million on the same date. “Office Christmas Party” (Paramount), this weekend’s sole new wide release, should gross more than “Heart.” It’s an R-rated seasonal ensemble comedy (Jennifer Aniston, Jason Bateman, Kate McKinnon), with potential to sustain more than two weeks. Look for it to open between the low teens and $20 million. It’s the third of five releases from Paramount over less than two months, which is significant for a studio that, on two separate occasions this year, went two months between openings. Their “Arrival” is holding well and could deserve some holiday play, but between “Office” and “Fences” going wide December 25, something will have to give in many locations. These are good problems for the recently lagging distributor. Already in limited play but expanding are “Nocturnal Animals” (Focus) and “Miss Sloane” (EuropaCorp). Both will play in more than 1,000 theaters and should make the Top Ten, but will rank below several holdovers. Also opening in around 600 theaters is “The Bounce Back” (Viva), a romantic comedy targeting African-American audiences. Everyone will be led by “Moana” (Disney). Based on “Frozen” and other animated features on similar dates, “Moana” should fall around 30 percent. That would give it around $20 million, and if so, in position to repeat at #1 in its third weekend. 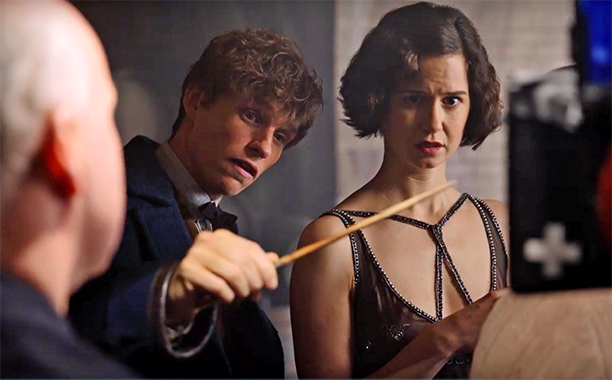 “Fantastic Beasts and Where to Find Them” (Warner Bros.) likely places third, somewhere over $10 million.That would position it to continue through the holidays and increase its domestic total to around $200 million. Combined, “Moana,” “Office,” and “Beasts” should gross somewhere around $45 million-$50 million. The rest of the Top 10, which should include the other holdovers, “Nocturnal,” “Sloane” and possibly “Manchester by the Sea” (Roadside Attractions), will be enough to elevate the weekend above last year. That would keep the year to date total more than three percent ahead of 2015. Even if “Rogue One” doesn’t sustain a run at the level of last year’s Star Wars reboot, that could be enough to beat last year when final totals arrive in a few weeks. Finally there’s “La La Land” (Lionsgate), which could be the best platform opening of the year. It is positioned to best “Moonlight,” which currently has the top per-theater average at just over $100,000. Apart from terrific reviews and award wins, it has five prime New York theaters with room for multiple screens and added shows. Damien Chazelle’s original musical with Emma Stone and Ryan Gosling will add big cities through the holiday weeks, with its national expansion timed to parallel Oscar nominations next month.